The inseparable bands quote "Here I stand. 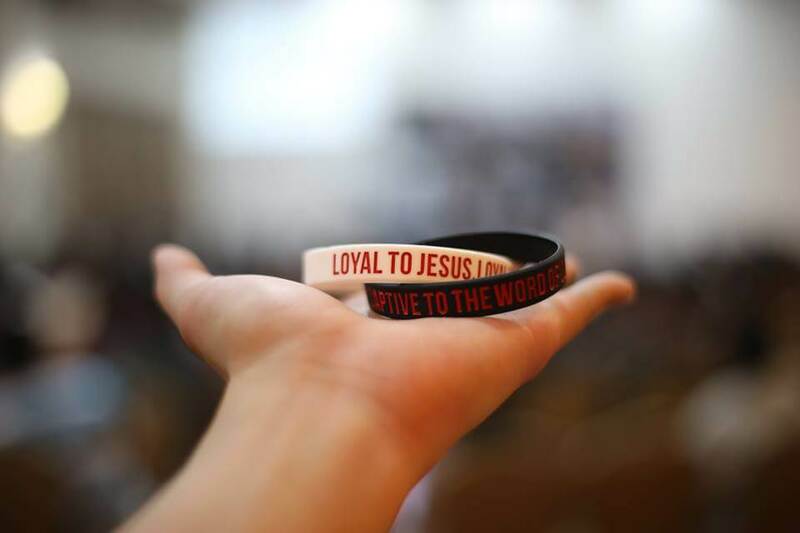 My conscience is captive to the word of God" on the black band, and on the white, "Loyal to Jesus. Loyal to His Gospel. Love His church"
Martin Luther, the Father of Reformation truly captures the heart of the Reformation in his quote - that the highest authority is none other than the Word of God. 500 years later, and the call of the Reformation is still the same - We are to be Loyal to Jesus and Loyal to His Gospel, which leads to an inevitable Love for His Ghurch. People of God, the Reformation is far from over. The Gospel Growth Fellowship is celebrating the 500 years of the Reformation in 2017 by calling on Christians in the Klang Valley to be loyal to Christ and to the same Gospel that was fought for 500 years ago. The GGF #Reformation500 band thus symbolises our solidarity in the gospel and towards that end – so get yourself one today! Drop us a message on Facebook to place your orders. They are going for RM12.00 a set.